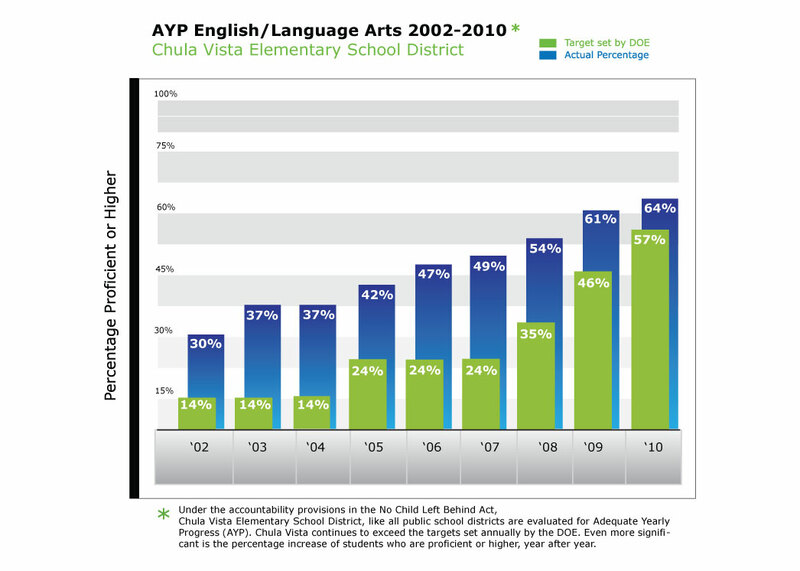 Our Work with the Chula Vista School District began in 2001 when the superintendent at the time, Dr. Libia Gil, enlisted our services to provide training and coaching support to 5 self-identified schools, known as Cohort 1. 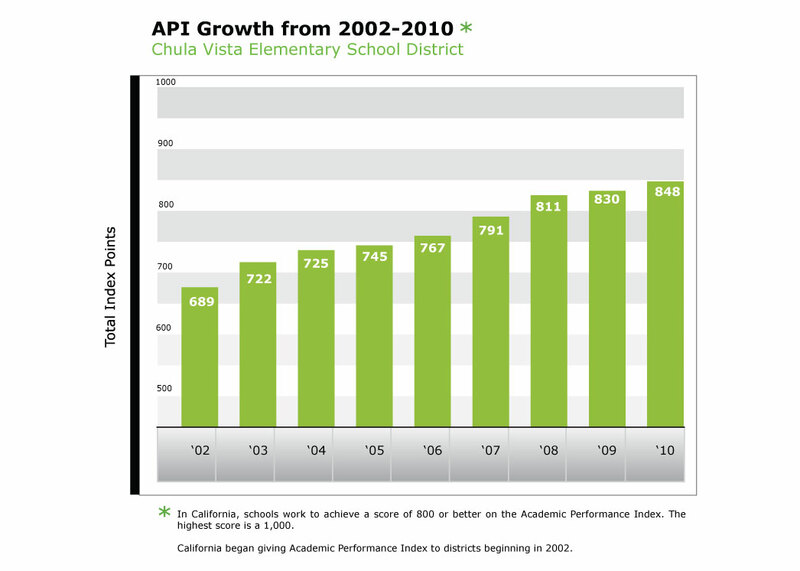 The results were so positive that the following year a second cohort, an additional 5 schools, joined the effort. By the third year, 22 out of the 40 schools had engaged in this process. 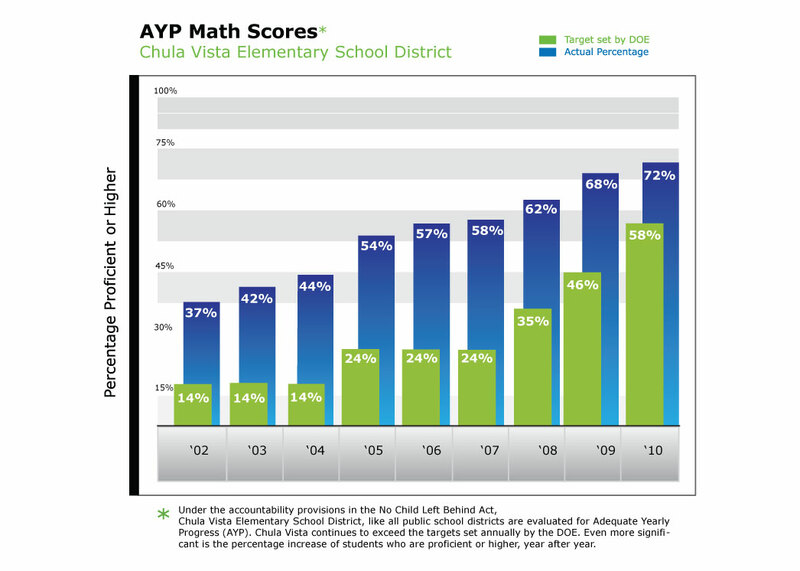 Today, this training is being implemented in all the schools in the Chula Vista Elementary School District with excellent student achievement results. mentation of a targeted framework that is data driven and provides leaders with concrete tools to target instructional improvement efforts. Coaching for both school site and district central office leaders to help them build their instructional leadership skills to support and monitor the implementation of promising instructional practices. Coaching of the superintendent and his cabinet with a focus on building capacity to support the district’s instructional agenda.